Here at MBG we love yoga and we love going upside down! We know how difficult it can be to achieve your first inversion pose, and how great it can feel when you finally get the strength, grace, and confidence to balance in a headstand. So we reached out to some of the best yogis in the world to find out why they love inversions and asked them to share some of their favorites. We hope you are as amazed by the responses as we are! Sit back, relax, and be amazed at what the human body can do! And perhaps get inspired to go upside down yourself! Location: On a seamless in my home for Chapter 5 in my book, Art of Attention. Why I love going upside down: I love handstands because it took so long to learn HOW. I have a lot of respect for the dynamics and difficulty of inversions in general. Our bodies love being upside down, and it feels like a new lease on life every time. 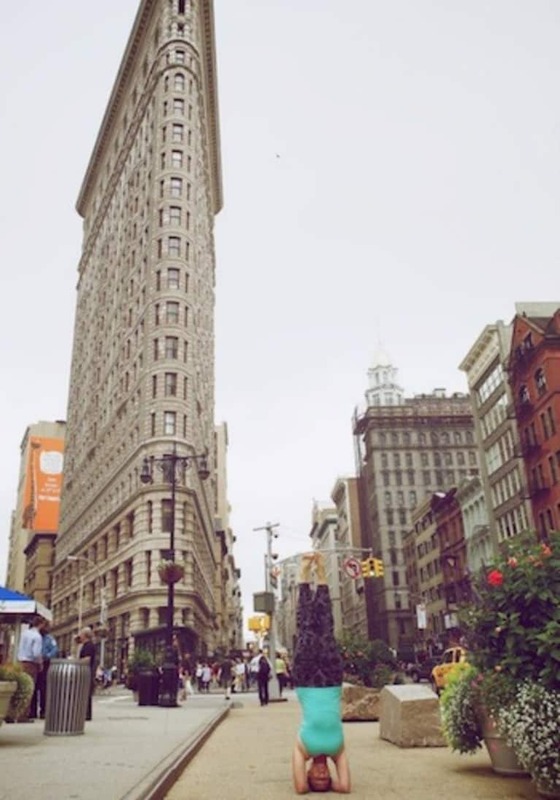 Location: Flatiron building, New York City. Photo by Fluid Frame. Why I love going upside down: Headstand helps you calm your mind, even amid chaotic circumstances. It’s considered the king of all asana for good reason and should be practiced every day. Pose: Handstand with Splits variation. 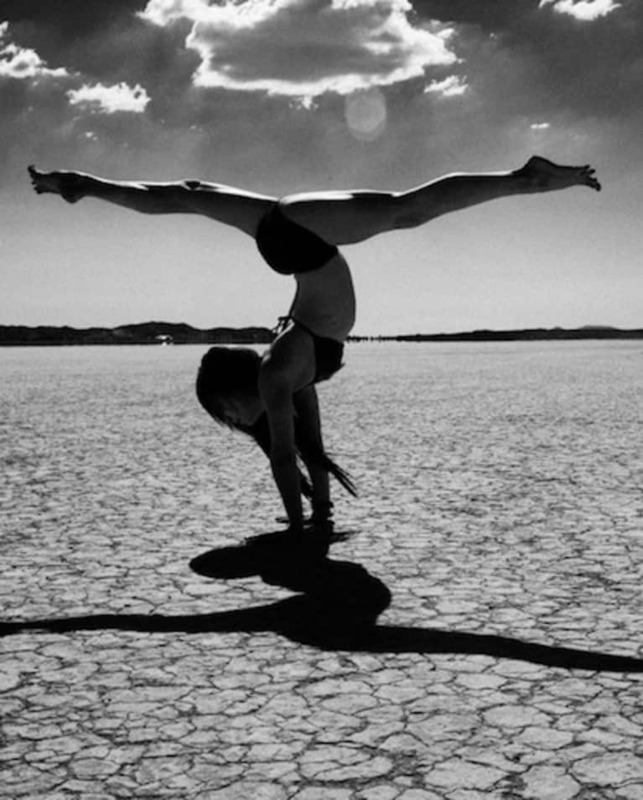 Location: The photo was taken by amazing friend and photographer Kristin Burns out in the desert on a dry lake bed. Why I love going upside down: It reminds me of the strength and calm that yoga provides. I love this picture because I had such a fun time on this shoot with Kristin, the ground was so hot, I could only stand or balance on it with my hands for a few seconds. We were out on the dry lake bed all alone and it was such a beautiful experience to be in the desert and connect to that intense vortex of energy in that is out there. Location: Washington DC with the amazing Drew Xeron Photography. Why I love going upside down: I love the playfulness of inversions and their ability to empower us to take the difficult and often scary steps we need to take in our lives. Check out the rest of the 27 Mind-Blowing Inversions From Rockstar Yogis – click here!